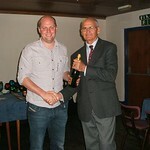 A good night was had by all after what has been a difficult season. Especially pleasing was the turn out by parents and children of the under 9 and 11 age group teams. Their prize winners will be published shortly. 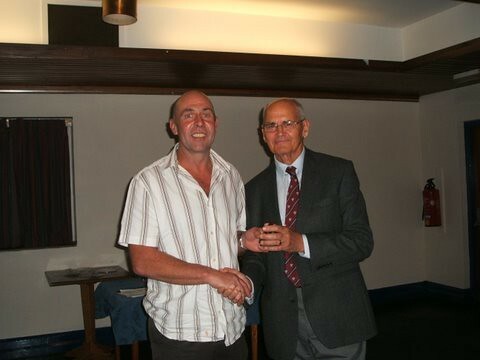 Many thanks to Peter Bradshaw, the junior organiser along with Ian Westwater, Martin Varley, Mark Hillan and all those helpers who have made it such a successful and enjoyable season. 8 years ago ago by Old Parkonians. The cricket itself is going to be a pretty good, we have a ladies team entered and two teams from the rugby section, but we really need as many cricketers as possible to come up and either play or support the club. These events can be hugely entertaining and the cricket is fast, furious and usually a pretty good standard, enjoyed by all who take part and those that watch. So come along and enjoy the day. On a more serious note I must mention the serious situation the club finds its self in. We seem to be struggling on a weekly basis on getting two teams out, and the biggest problem as you might expect is cry off’s. We sit down and pick the teams on a Monday or Tuesday and yet come Saturday the team have usually changed quite a lot which is down to people becoming unavailable. Crying off because of work is completely understandable, as is family emergencies and the like, crying off because of a social engagement is a little unfair especially if you had made you self available from the week before. This means people are not selected and understandably arrange other activities to do, this then makes it difficult if we get cry offs. Please, and this is a big please, be active in seeking a game. If you want to play and feel you’re being overlooked or if you know someone who is not getting a game and they want to play then please let us know. Contacting myself, John Orr or Andy Moxley would be a great help, just a quick call or text to say ‘I’m available’ or ‘he’s available’. On a gloriously hot sunny day Old Parkonians scored their highest total by any side in the club's history!!! A total of 296 for 5 was amassed in our 45 overs!! However, on a flat track, in reality, this was just too large a total to tempt our opponents into chasing it down. 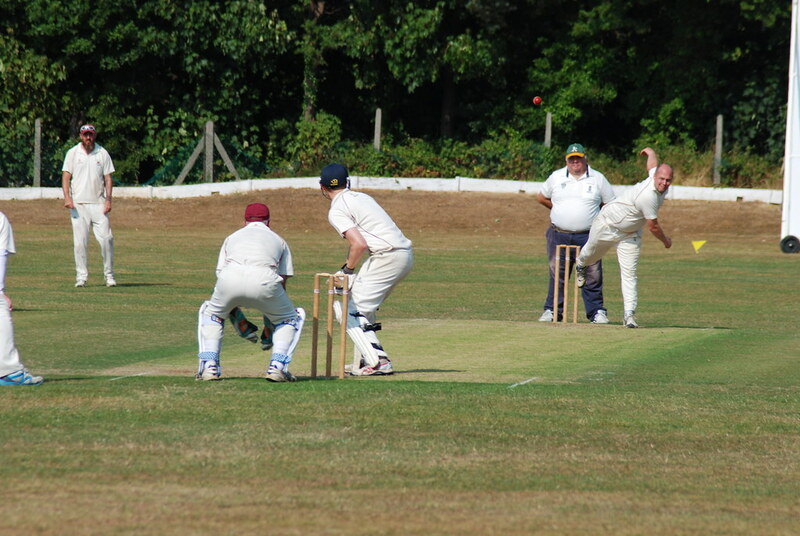 Nick and Tim Hitchell put on 97 for the first wicket in just 14 overs before Nick was out stumped on 33. 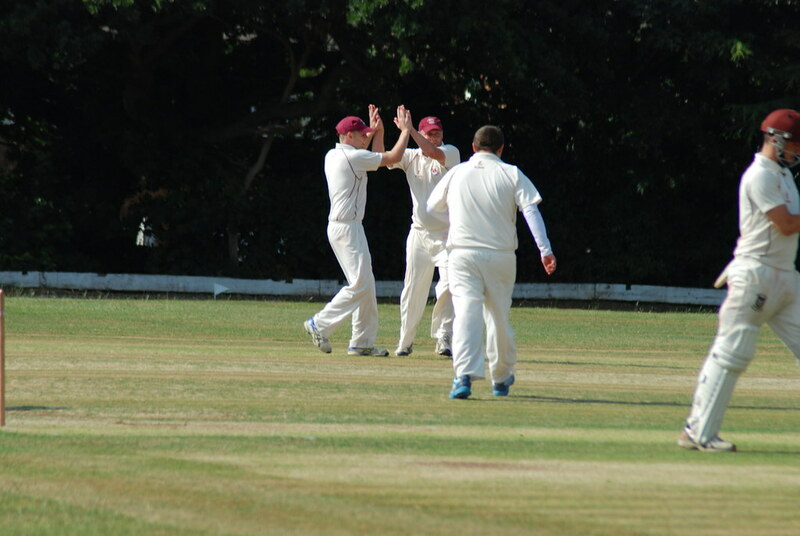 Tim and Lewie Toland took the score to 147, a partnership of exactly 50, before Lewie was out for 17. This brought Greg Lindop to the crease and he and Tim took the score t0 252, a partnership of 105, before Tim was out for a magnificent 123; very well batted once more, Tim! 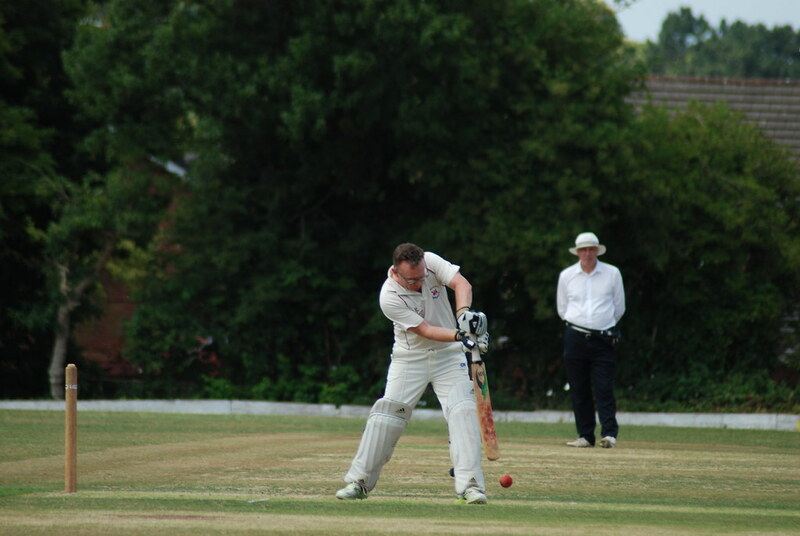 Greg was out very soon afterwards having contributed a very entertaining 58. Mike Hitchell(25no) and Mike Beckett(17no) added 43 together to end the club's excellent innings. After tea the heat had abated somewhat but this had not affected the wicket and our bowling lacked penetration and Alderley Park were able to coast along to 177 for 2 thus securing the draw. We might have declared 3/4 overs earlier but I doubt this would have affected the result maybe we might have secured an extra point or two? We really need to claim some wins as we have just slipped into the relegation zone. Scores:Old Parkonians 298 for 5, Alderley Park 177 for 2 Result: Draw. Old Parks 13 pts, Alderley Park 10 pts. The 2nd Team secured a 15 point draw away at Winsford with Thasim making an impressive debut bowling 15 quality overs; well don,Thas, and keep it up! On Sunday we travelled to play Craig Jenkins' side, Wyncote Ramblers, at Over Peover and a most enjoyable time was had by all!! They posted 199 for 6 off 53.2 overs in just over 2 and a half hours, what an over rate! We replied with 102 all out in 39.1 overs thus losing the game and our Sunday side unbeaten record for the season.There was good bowling from John Beckett, Alex Harrison(who also took a magnificent catch),Mark Reed,Neil Plant, Thasim and Chris Beckett.Reedy scored 26 and Neil Plant 21no.Indeed Neil and Alex put on 22 for the last wicket. It was great to see Craig again and the tea at Peover was fantasic thanks to Rob Johnson and his girlfriend;well done! The 1st team are at home to Wirral in the T20 cup on Thursday 10th June and are away to Disley in the league on Saturday. 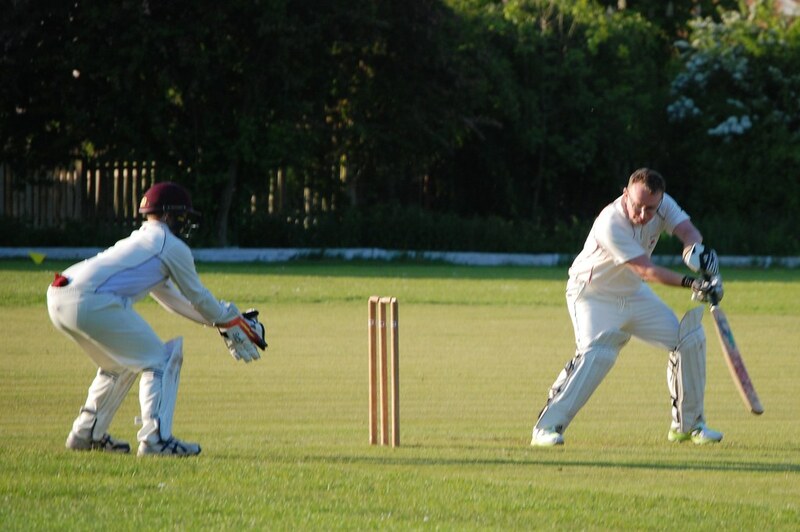 The 2nd team are at home on Saturday to Runcorn and have their T20 game at home to Weaverham on Tuesday 15th June. This Sunday the team travel to Carmel for the first fixture without Fergy; here's to an absent friend; hope you are looking down on us, mate! Richie Beckett.Press Officer.Old Parkonians CC. On a gloriously hot and sunny day skipper, Dave Colebourn, again elected to bat first after winning the toss on what was a beautiful batting track. Everything was going smoothly with openers Nick Hitchell and Lewie Tolond cruising at 47 for 0 until Nick ran himself out for 24. Lewie top scored with an impressive looking 35. 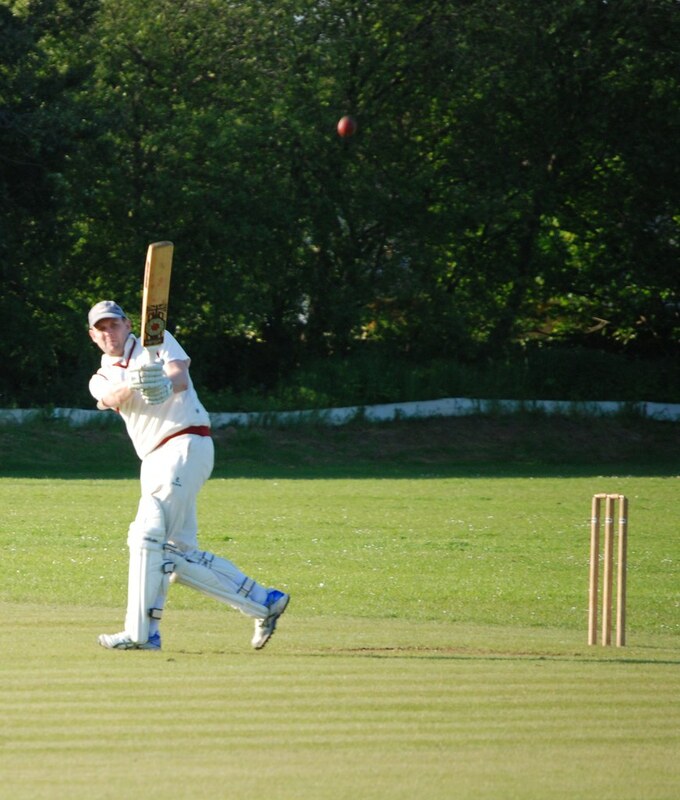 However, only Chris Hitchell(18) and Dave Colebourn(10) reached double figures apart from the openers. It was a very poor batting display with maybe one or two batters being a touch unlucky with umpiring decisions.However,we were all out for a paltry 109. We at least made our opponents fight all the way to their victory. There was good fielding generally and most impressive bowling from Dave Fletcher(3 for 35) and Chris Hitchell(3 for 22). 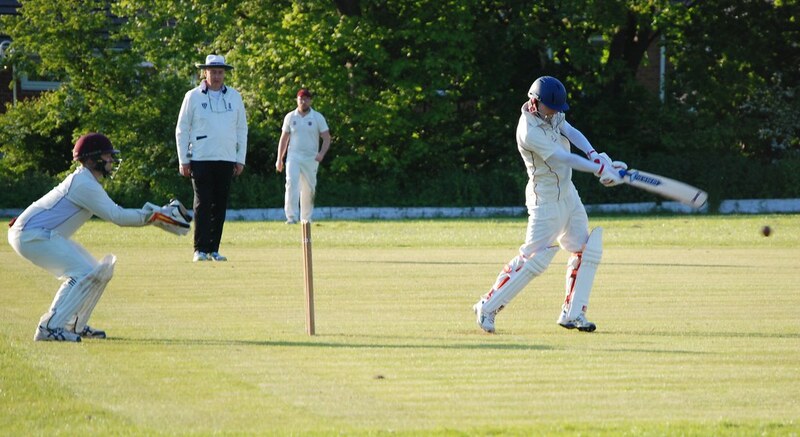 A much improved batting display will be required at newcomers Romiley next Saturday. Scores:Old Parkonians 109, CH Ladybridge 110 for 6. Result: Lost by 4 wkts. Old Parks 3 pts, CH Ladybridge 25 pts. Team:Nick Hitchell,Lewie Tolond,Andy Moxley,Greg Lindop,Chris Hitchell,Simon Blackwell,Mike Hitchell(W),Tony Berkson,Dave Fletcher,Adam Westwater,Dave Colebourn(C). The 2nd Team played at Oakmere and lost by 7 wkts taking 10 points. We made 169 for 6 in our 45 overs with Oakmere making 173 for 3.Rob Marnick top scored with 43no. ; well done, Rob! Next week the 2nds are at home to Alvnley. The Sunday team led this week by Greg Lindop played at home against our old favourites, Yorkers. It was great to see Eddie and the lads after a year's absence.The result was a most exciting tie with both sides scoring 183 apiece. Stars were Alex Harrison with 3 for 23, Adam Westwater 51 and a superb 86no.from Greg. It was a great day both on and off the field. Never mind the golden duck, Terry, it won't happen again?! This Sunday all being well it is Chester County Officers at home. The Under 9s and Under 11s enjoyed close games even if they both lost at New Brighton and Chester Boughton Hall respectively. Well done to all junior players and their managers, umpires and scorers; keep it going!! Richie Beckett. Press Officer. Old Parkonians CC. The 1st Xi recorded their first win of the season with a cracking result at Pott Shrigley. We travelled to the Derbyshire border badly in need of a victory; skipper, Dave Colebourn, duly won the toss and elected to bat. In the circumstances what a decision this was to be. A record 1st XI 1st wicket partnership of 214 was recorded in 130 minutes between brothers Nick(89) and Tim Hitchell(92) and was only ended with the last ball of the 40th over. There were some truly amazing shots played and surely this afternoon will remain with them both for the rest of their lives as it will for all Parkonian members who were present; very well done to the both of you. This of course meant that there was very little time left for anyone else to bat but we still managed to reach the substantial total of 249 for 5 in our 45 overs. To be fair to Pott Shrigley they made a real go of trying to chase down this total and did make 210 before they were all out with the first ball of the 44th over. Our bowling and fielding was much superior to their's. Will Walker was the pick of the bowlers taking 5 for 39 off 10.1 overs; well done, Will. He was well supported by Chris Hitchell 2 for 31 and Tim Hitchell 2 for 21. An excellent 39 runs victory which takes us into 5th place in the table with 59 points. Next up is Cheadle Hulme Ladybridge at Holm Lane next Saurday. Let's keep this going lads. Result: Old Parkonians won by 39 runs. Old Parks 25 points, Pott Shrigley 8 points. 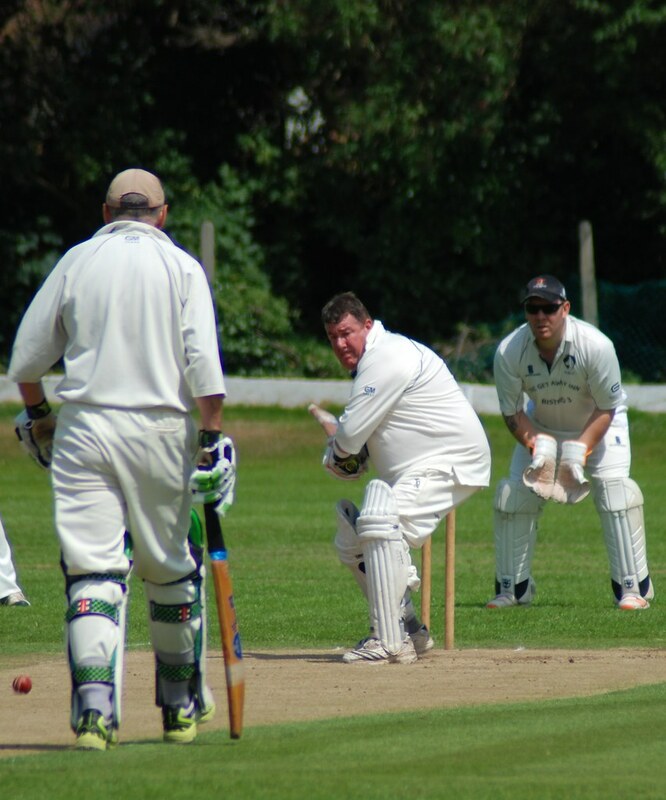 Team:Nick Hitchell,Tim Hitchell,Will Walker,Lewis Tolond,Chris Hitchell,Charlie Allen,Mike Hitchell(W),Graham Moxley,Dave Fletcher,Adam Westwater,Dave Colebourn(C) Umpires:Dave Johnson and Keith Purdom(MBCCLUA) Scorer:Richie Beckett. The 2nd XI were also involved in a most exciting game; a very close draw. Barnton won the toss and elected to field which seemed a very good decision when Old Parks were reduced to 14 for 4. 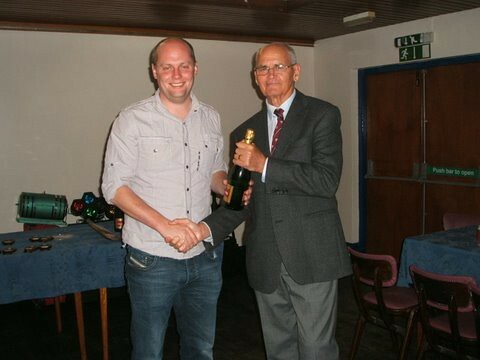 However, skipper, Andy Moxley, had other ideas and led the way with a most responsible innings of 74no; well done Andy. 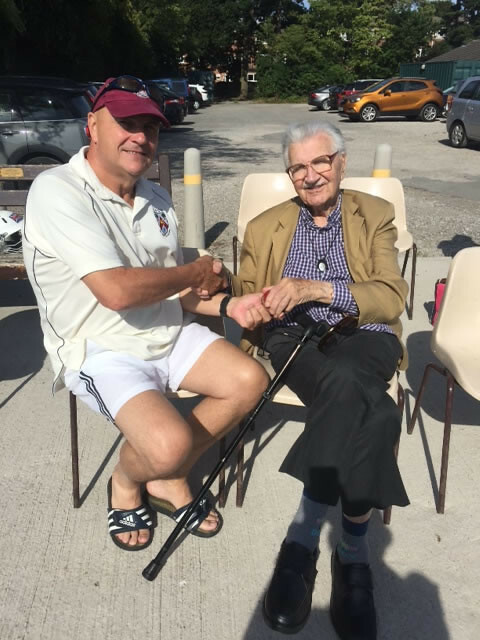 He was ably assisted by that most modest of men, Tony Berkson, with a knock of 40 enabling Old Parks to build a total of 184 for 7 in their alloted 45 overs. The second half of the match was indeed a tense affair to the very end with all three results possible. Barnton ended on 175 for 9 meaning that the game ended in a maximum 17 point draw to the Old Parks, Barnton coming away with 11 points of their own. So two fascinating matches ending with good results for us. Well done to all 22 players involved and it was great to have Graham Moxley back with us even if only for a short while. The 2nds are away to Oakmere next Saturday with the Sunday friendly being against our old friends, Yorkers, at Holm Lane. Looking forward to it all already!! 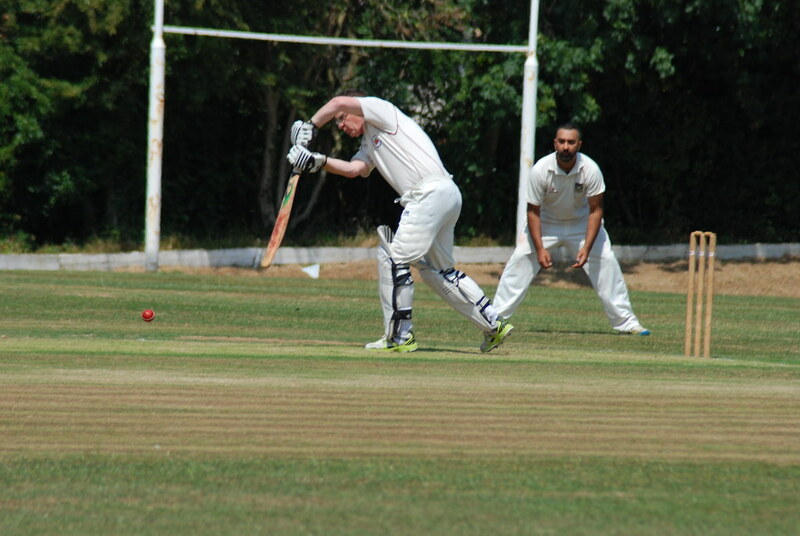 Dave Colebourn returned from holiday to make his debut appearance as club captain and duly won the toss and elected to bat against newcomers to the league in Woodford on what looked like a belter of a track. We made steady progress at first before racing to 143 for 1 in the 29th over. The 2nd wicket partnership between Nick Hitchell(67) and Will Walker(62) was worth 116 and took just 20 overs; well batted the two of you! 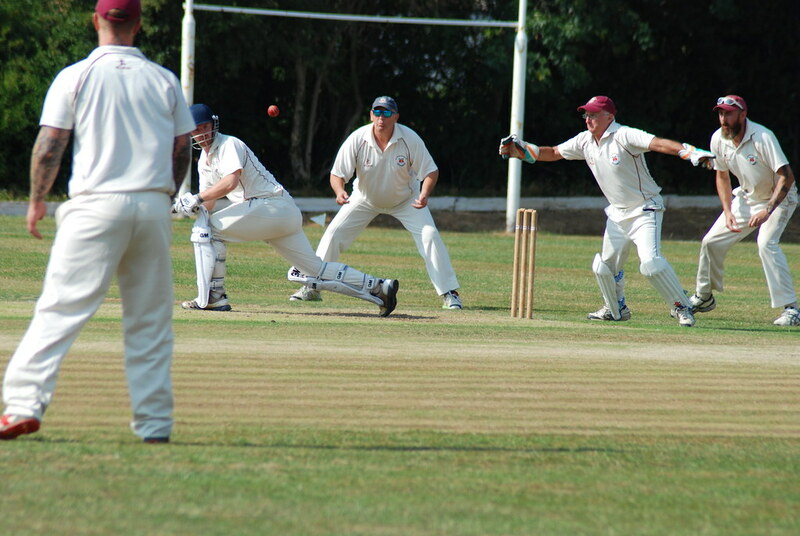 However, things went 'pear shaped' from thereon in and we were all out for 189 in 44.3 overs. Lewie Tolond(17) and Chris Hitchell(14) tried to steady the ship but there was no telling contribution from seven batsmen. 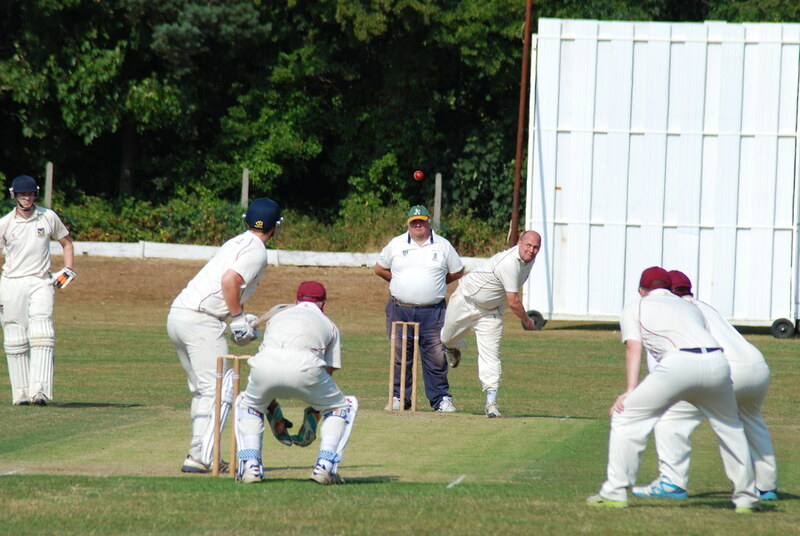 The bowling was rather inconsistent and although Will Walker, Chris Hitchell and Dave Fletcher all bowled steadily Woodford rather cruised to the winning total of 190 for 4 in just 38.4 overs. We need a victory and we most certainly will be looking for one when we make the long trek to Pott Shrigley this coming Saturday 15th May. Scores:Old Parkonians 189,Woodford 190 for 4. Result:Woodford won by 6 wickets. Woodford 25 pts, Old Parks 12 pts. Team:Nick Hitchell,Charlie Allen,Will Walker,Lewie Tolond,Greg Lindop,Chris Hitchell,Mike Hitchell(WK),Dave Fletcher,Mike Leonard,Adam Westwater, Dave Colebourn(C). 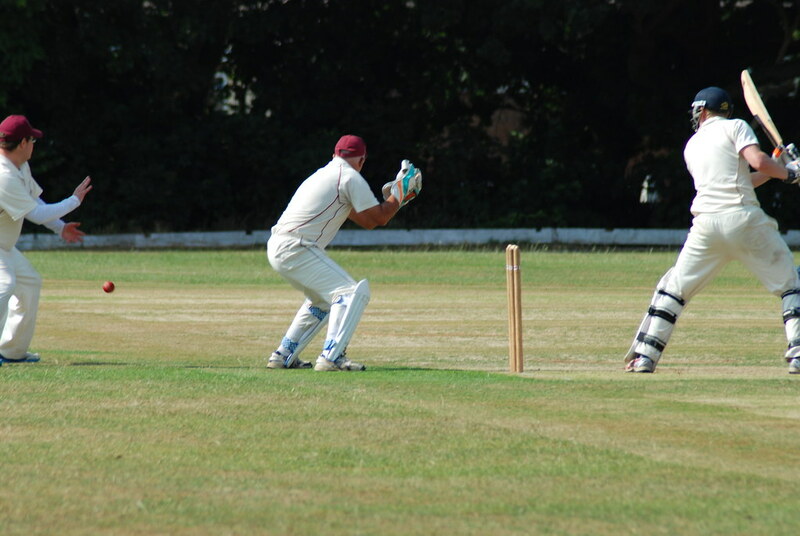 The 2nd Team suffered a narrow defeat at Mere. 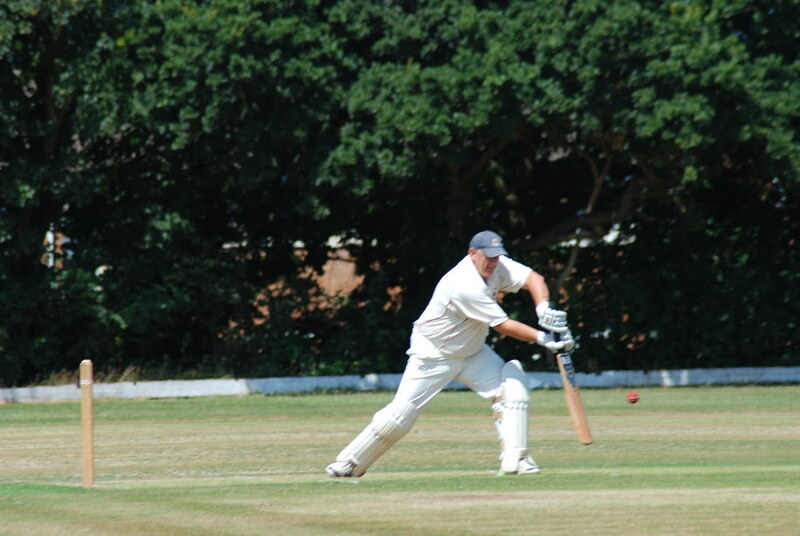 Batting first we made 153 for 9 in our 45 overs; top scorer was Mike Cardus with 31. In reply Mere with only 10 men scraped home at 155 for 8. Mere 25 points, Old Parks 10 pts. This Saturday the 2nds are at home to Barnton and they too will be looking for a most welcome victory. The weather on Sunday morning last, although cold, brought lovely blue sunny skies and for the first time in the club's history we hosted Under 9 and Under 11 games.The opponents were Neston. Both teams were easily beaten this week but you could tell that all the youngsters were thoroughly enjoying themselves on our gloriously prepared grounds. Well done to everyone and next week's games are away to New Brighton on Sunday with a 10.30am start. The Sunday team played their second game of the season at home to Kirkdale in what was a most entertaining encounter. We batted first and made 253 for 7. Greg made 71, Mark Reed 56(in his first game for 2 years),Will 49no and Dave Gallwey 26. Kirkdale , although they were to lose, replied with a competitive total of 210 for 8 with their opener Simon Brown scoring 109. 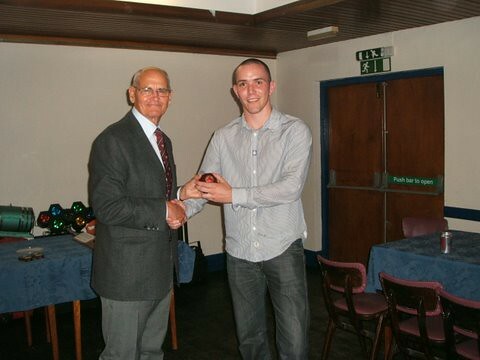 There was good bowling from our newcomers Aussie, Dave Glove Lee Howard and Phil Lamont; welcome to the club! 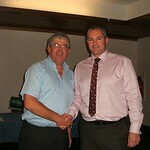 A great game of Sunday cricket; well done to both sides and to umpires Steve Fletcher and Richie Beckett. The team play away at Irby next Sunday with a 2pm start. Here' hoping that the weather warms up in the near future and we start recording some league victories. Richie Beckett. Old Parkonians CC. RAIN THWARTS A 'MINI' MOXLEY TON?! FABULOUS UNDER 11 DEBUT WIN AT WIRRAL CC. The 1st XI travelled to Stretton showing two changes from the previous week; Chris Hitchell in for Dean Dunwoody and Jonathan Cable for the injured Charlie Allen. Greg won the toss and elected to bat first on a goodish looking track. After a solid, if unspectacular, start we collapsed at one stage to 60 for 5 before finishing up with a reasonable looking 173 all out with 3 balls remaining in the 45th over.Best batting with two very sensible knocks were Greg Lindop with 39 and the recalled Chris Hitchell with 38 not out. The first part of Stretton's reply almost mirrored our own innings; a steady start, a dramatic collapse then followed by a recovery. 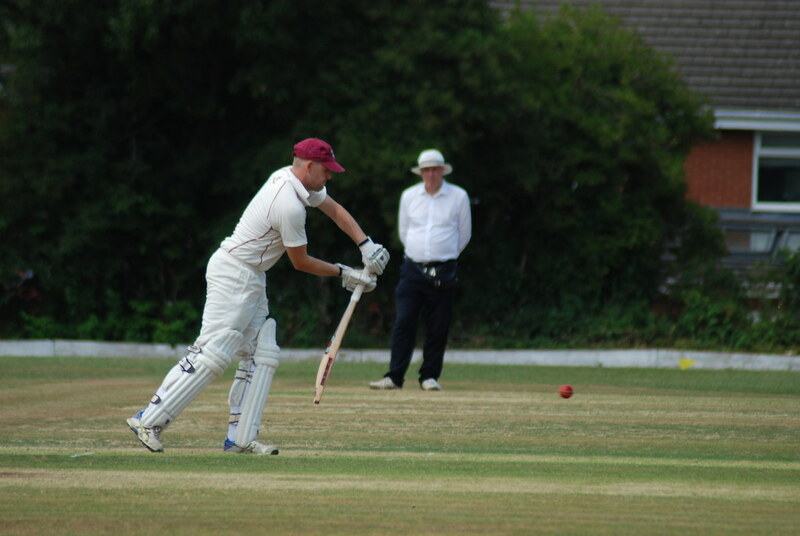 We could easily have won when they were 91 for 6 but their 19 year old opening batsman and stand in captain, Adam Garrod, saw them home with a fine innings of 91 not out. 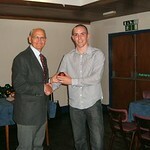 Will Walker bowled well taking 4 for 44 and Dave Fletcher again impressed with 2 for 83 off an extended spell of 16 overs. So another disappointing result, but surely only for the time being. 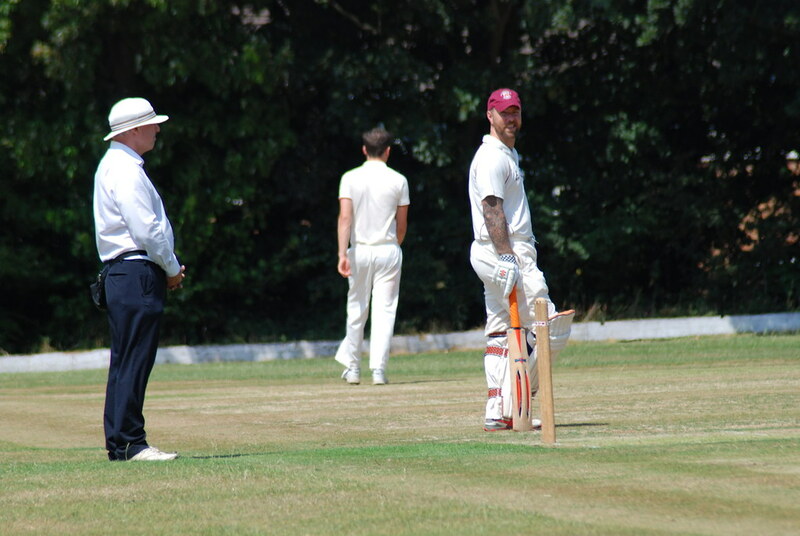 This Saturday sees the return of club captain, Dave Colebourn, in a home league encounter against Woodley.Just to mention that in the absence of panel umpires Steve Fletcher did an excellent job standing at both ends. Well done and thanks,Steve! Scores:Old Parkonians 173, Stretton 177 for 7. Result: Stretton won by 3 wickets.Stretton 25 points,Old Parks 14 pts. Team:Nick Hitchell,Tim Hitchell,Will Walker,Lewis Tollond,Jonathan Cable,Greg Lindop(C),Chris Hitchell,Mike Hitchell,Dave Fletcher,Adam Westwater,Mike Leonard. The 2nd XI game became a victim of the weather at Holm Lane when heavy rain caused the game to be abandoned with 6 overs remaining. 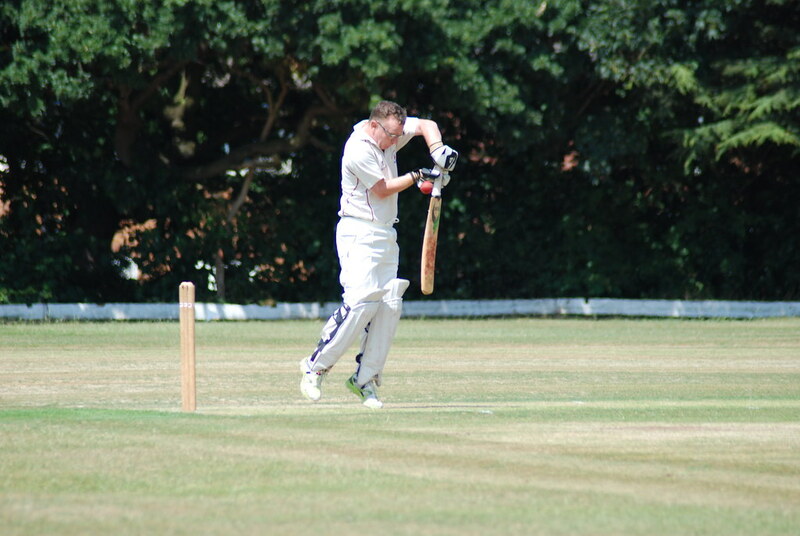 Stretton had batted first making a good total of 192 for 6 in their 45 overs; John Orr taking 3 for 44. 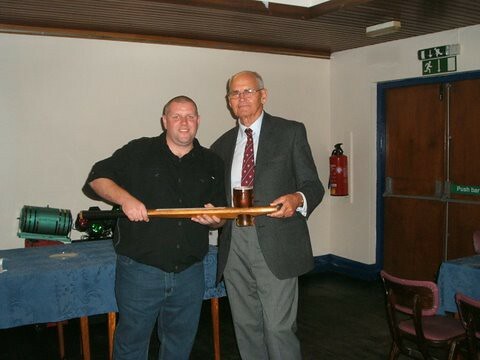 In reply Old Parks had reached 141 for 6 in 39 overs with our skipper, Andrew Moxley, undefeated on 83; we will never know if he would have gone on to make a ton but very well played anyway!! The abandoned points were 15 to Stretton and 8 to us. This Saturday sees the 2nds journey to Mere for their league match. Sunday morning saw our new Under 11 team make their debut at Wirral and what a good game it was played in a very good spirit and ending in a famous 35 runs victory to the Old Parks. Well done to all the players and we are already eagerly looking forward to this Sunday's match against Neston at Holm Lane with a 10.30am start. 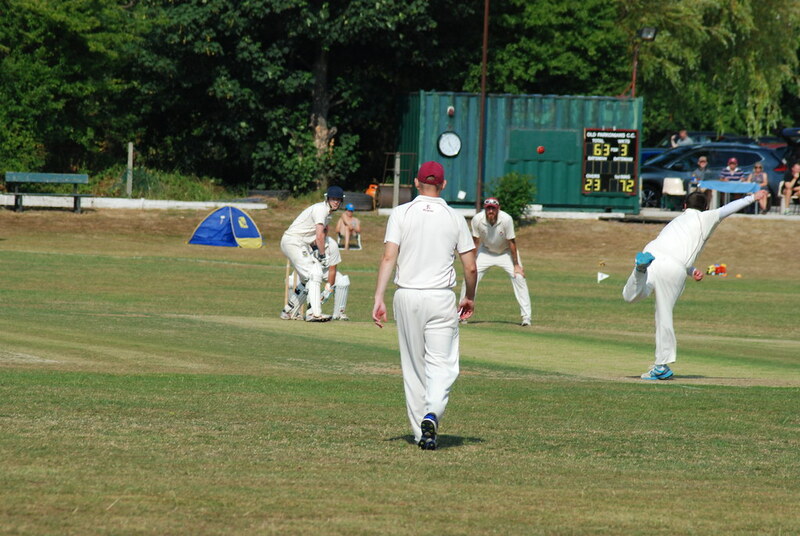 The Sunday XI had their opening fixture at Upton with Will Walker in charge for the first time and what a game he had. Upton batted first and made 178 for 8 in their 40 overs with Will taking 5 for 19. In reply Old Parks made 179 for 5(in 36.4 overs) to win the game after having been 56 for 5. In a 6th wicket standard of 123 Will made 71 and he was more than ably supported by Dave Gallwey with a very good knock of 44 not out. Well done the two of you and indeed the whole team and thanks to Steve Fletcher and Richie Beckett for umpiring.This Sunday it is Kirkdale at home with a 2pm. start. Let's hope for more good cricket this weekend and maybe even some warmer weather although I am not so sure about that. 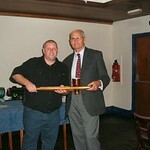 BECKETT'S BAT AND BAWL RETURNS FOR THE COMMENCEMENT OF THE 2010 SEASON. It was a lovely day and pitch for the opening league cricket game of the 2010 season. Many thanks firstly should go to the ground work team of Dave Westwater, Ted Keaney and Mike Beckett.1st XI skipper, Dave Colebourn, was on holiday and his deputy Greg Lindop won the toss and chose to field first. 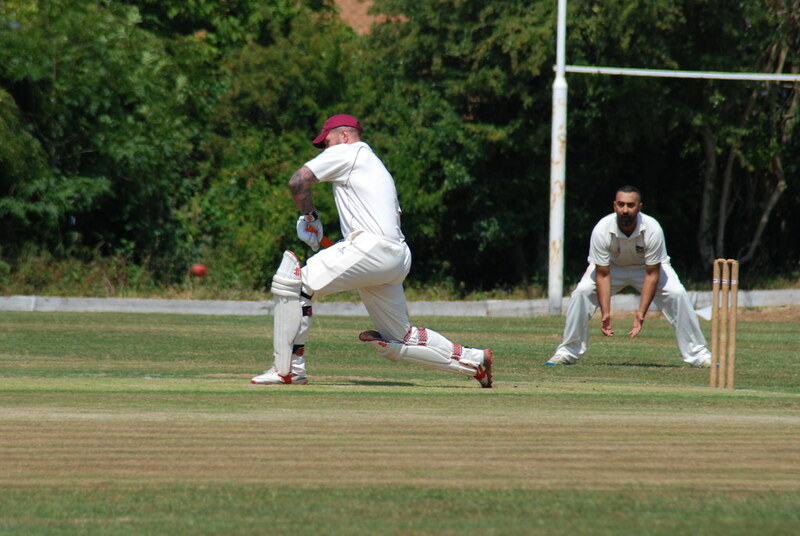 CCO made a reasonable total of 179 for 9 in their alloted 45 overs with Dave Fletcher the pick of the bowlers taking 2 for 44 from 16 overs, Will Walker took 2 for 42 off 11. This was a 'gettable' total on this track and Old Parks were always up with the asking rate but sadly wickets fell far too frequently; we were all out for 151 with nearly seven overs remaining. 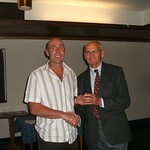 Will Walker batted well top scoring with 62 with Dave Fletcher next best making 26. Not a bad start but we will be looking for better things this coming Saturday 1st May at Stretton CC(near Warrington). Result:CCO won by 28 runs.CCO 25 points,Old Parks 8 points. Team:Nick Hitchell,Tim Hitchell,Will Walker,Lewis Tolond,Greg Lindop(C)Mike Hitchell(WK),Dave Fletcher,Dean Dunwoody,Adam Westwater,Charlie Allen,Mike Leonard. 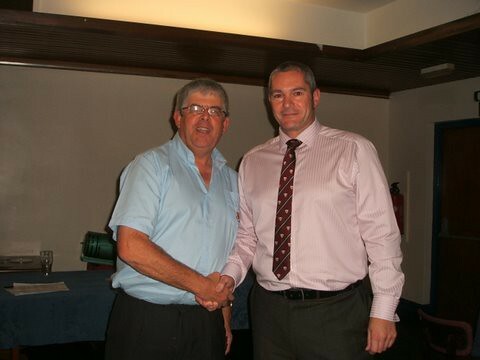 Umpires:Dave Batty and Paul Eccleston(MBCCLUA). The 2nd XI had a tough opener at Northwich and hung in for a draw. The hosts batted first and made 209 for 5 in their 45 overs Old Parks replied with 138 for 8; a draw, therefore, Northwich 16 points, Old Parks 7 points. Four batsmen, Mike Beckett,Pete Fearon, Chris Hitchell and Jonathan Cable all made scores between 20 and 30 but no one could go on to make 'a big one'. The 2nds also play Stretton this Saturday at Holm Lane. All league starting times are 1.30pm.until the end of August. The Sunday team have their opening fixture at Upton CC with a 2pm. start. Junior nets start outdoors this Wednesday(6-7pm) at Holm Lane with the U9 and U11 teams having their opening fixtures at Wirral CC this Sunday with a starting time of 10.30am. Hello all, I’m afraid it time for another update from me, i know everyone looks forward to my novels, but i promise to keep it a little shorter. Firstly, we are now only five and a bit weeks away from our opening league matches, yes I’m afraid we’re that close and even more importantly we’re only two weeks away from the Easter social. Terry Marnock has been working hard to organise the day, which as you will appreciate is no easy task given our unpredictable weather, but no matter whether rain or shine, it will be a great day and you will enjoy yourself, so please come along and support the club. It is critical that as many as possible support the club at Easter and with other events and money raising ventures. It costs a lot of money to run the Old Parkonians, and it takes a lot of time and money to prepare one of the best wickets in the county. We are very lucky that we have such dedicated people who do the ground work for us for no reward otherwise we would really struggle, and unfortunately your subs and match fees only cover a small portion of the total cost, so supporting social events and entering the raffles and prize draws that are run throughout the year is critical to us surviving, strong words but I’m afraid it’s true. So I hope to see all at Easter. If you don’t attend nets you will not be selected for the first match of the season, start attending now and you might be selected, but I’m afraid at this late stage there are no guarantees, so please put yourself in the mix otherwise if everyone plays well you may struggle to break into the league teams. I realise this is quiet a harsh statement to make but for the club to move forwards we have to have people challenging for places, and as importantly we need people who will help carry the club forwards. For those that play cricket on Saturday and Sunday’s there are a couple of minor changes. Match fees will be £8 and £4 respectively this year and match fees will now be collected prior to the match. This is because the umpire fees and teas both now have to be paid for prior to the match. You will be reminded of this closer to the first game. All players must now take on some responsibility with regards to the usual match day activities, I’m afraid it can no longer be left to the same individuals. Simple things like arriving on time or slightly earlier and helping remove covers, doing boundary markers etc, will all help. Likewise sharing the duties of driving to away games is important so the cost does not fall on the same people all the time. Along these lines Richie Beckett has very kindly put together an Old Parkonians Cricket Club Players code of conduct which is just a simple guide that if we all try and adhere too, it will help the club prosper. Check out the website soon for details. Finally the club match day shirts and caps are now due for payment. Final fee is £12 so if you signed up please bring the money to nets next week or make best efforts to get the money to either myself or Dean Dunwoody, I’m afraid if you don’t pay we can’t order you goods. Likewise if anyone would still like one you have a couple days left to let me know. I hope everyone is looking forward to the season and hopefully this year we can succeed in our goal of getting promotion for the Division Three team, hopefully as champions, and see the Division A team blitz the season to finish as champions. Finally it is my intention to send out an e-mail roughly one a month, if you don’t wish to have your inbox clogged up, with my rants and raves, please let me know and I’ll remove you from the mailing list. 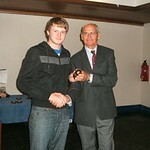 Hello all, time for another quick update on how the 2010 season is progressing. We have now completed three nets sessions, two of which have been run by the coaching team and the feedback has been positive from all who have attended. The sessions now start with a warm up, (imagine that, the Old Parks actually doing a warm up), this is very important with us not having played any cricket for a few months, and to get the blood pumping and muscles moving so that no one hurts themselves during the session. We also have a warm down, again just to help end the session. Now i will be the first to put my hand up and say that this warming up and down feels a little strange, but i can see the importance, as i believe can everyone else who has attended, so i would urge everyone to please try and arrive on time, which is 7.55pm for next week and 8.25pm from the remainder of the sessions. The nets sessions have been well organised by Dean, Will and Greg, and as described in my last e-mail are designed to ensure that everyone gets exposed to the right level of batting and bowling, plus the outfield training has been really enjoyable. We no longer have the situation of just turning up and basing yourself in one net for the entire session, you will be asked by the coaching staff to go into a specific net for bowling and batting, dependant on your skill level at each discipline. This means that the better batsmen face the better bowlers and so on, but the guys are also mixing it up so that everyone over the course of the remaining nets will have the opportunity to face all the clubs top line bowlers and as such hopefully prepare them for the coming season. The fielding session was generally agreed by all to be really enjoyable and something really different for us. This saw the attendees divided into two groups with one carrying on the traditional batting / bowling and the rest doing fielding drills. It was nothing too strenuous, but was really enjoyable and everyone rose to the challenge of just attempting the simplest actions of stopping, picking up and throwing the ball into the wicket keeper. If nothing else, it actually showed how much work we need to do, as the person who worked the least in the sessions was Mike and Charlie behind the stumps, but as the session went on small improvements could be seen from everyone. From their perspective both Mike and Charlie enjoyed the early opportunity to don the gloves and get the old limbs moving in the weird way that only wicket keepers enjoy. So far nets turn has been ok but could be a lot better; this is the only opportunity you will get to practise and demonstrate to the coaching staff and selection committee how you are preparing for the season ahead. With only eight nets left, that will only give each of us around an hour of batting, not much when we haven’t done any since September last year. I know that going from nets to playing outside is a huge change, but nets is great for getting the batsmen’s feet moving and allowing the bowlers to practise line and length away from the confines of a league match. Failure to turn up to enough net sessions will make the decisions on selection much easier, as those that have attended will be at the front of the queue, and right now the League teams are full as some 23 players have turned up to nets. Please don’t be complacent, what you did last year means nothing to this year’s selection committee, and those 23 players are of a very good calibre, and would not let the club down in anyway should we start playing tomorrow. I would implore all senior players who haven’t made it yet, to come down spend an hour with your friends and enjoy the usual banter and general excitement as we look forward to the new season. Plus who knows you may even enjoy the sight of the Old guard trying desperately to hide the aches and pain that come with spending an hour doing nets, bring on the warm weather. The match day shirts and caps are selling well, i cannot make anyone buy a shirt, but i would please ask that all those who are going to make themselves available for the league teams try and acquire one. They are going to be a deep blue colour and will have the club emblem, and sponsors logo on plus a special piece of embroidery celebrating this as our 60th anniversary. I am sure they are going to look great and think that we would at least look good on a Saturday regardless of the cricket. Plus for the first 25 lucky people you can get a cap also showing a club logo and another sponsors name all for the price of £11, what a bargain, after the first 25, the prices for these are going to be £12 for a shirt and £11 for a cap, again still great value. If you would like a shirt and /or cap please let me know as soon as possible. You can e-mail me back at this address and I’ll put your name on the list. Then in a couple of weeks I’ll need the money and then we’ll deliver the shirts prior to the start of the season. As previous stated if you want to pay in instalments that’s fine, but and this applies to all, if when we come to raise the order you have not paid in full then I’m afraid we cannot place the order on your behalf. Progress is moving well with the season in general, Dave has cut the square, and preparations for the Easter social are progressing well. Richie has worked hard to get us a full Sunday fixture list, which of course is now critically important with us only be able to run two league teams, and with some great games planned against some good opposition. If you’re unfortunate to not make the league teams this year i implore you to make yourselves available for Sundays. The fixtures are against great teams and at some great venues, including s fair few games at one of the best batting tracks around Cheshire, our very own Holm Lane. Dean Dunwoody and Terry Marnick are also organising a mini round robin style cricket competition to be played on the Sunday of the World Cup final. It’s a limited over style competition with six a side teams and should be a lot of fun and quite competitive, further details will be released shortly but please pencil the date of the 11th July into your diaries. All that remains is to thank all those who are working behind the scenes to get ready for the season ahead, thank the coaching team for the organisation of the nets, and thank all those who have attended nets so far. And finally, i hope to be able to see everyone else who hasn’t been able to make it to nets so far, at some time over the next few weeks. It’s only an hour, and you never know you might enjoy it. Nets have started as of Monday of this week and the turnout was good considering we have only just scraped into February. As you might have expected it was little cold in the hall, but it was nice to see a broad mix of players turn up with a renewed appetite to represent the Old Parkonians Cricket Club. With a view to the 2010 season I’ve asked our coaching team if they would like to organize senior nets a little differently than the previous years. Just turning up and bowling and batting with no organization, seems to be missing the point a little. Dean and the guys have worked out what I consider to be a great program which will see a bit of variation applied to nets and a little more structure. We recognize that it’s going to be difficult to teach old dogs new tricks, and there are a lot of us old dogs around, but hopefully it will enable the older guys to mentor the younger guys and help everyone develop their game, even if it’s only a small amount. Please don’t be put off, what the guys have planned should make nets a more enjoyable experience and hopefully encourage as many people as possible to regularly attend. For the nets the guys have broken the players down roughly into ability categories, this is allow for what they consider the right mix of people to be in a group, but in no way reflects people standing with regards to selection. With regards to the teams for this year, we are now in the position of only being able to run two Saturday teams and a Sunday team. This means unfortunately that some people will miss out on some of the early games, when we have fully availability. For these people, please make yourselves available for Sundays and you will get a game of cricket, may be not every week, but you will get a game. If you’re not selected then please come up and support the club as best as you can. For this year the committee has taken the decision not to enter the Cheshire cup, this is based on the difficulty it proves to be to honor these fixtures. It was also a consideration that Sundays are now much more important than previous years, for reasons mentioned previously and a cup run would disrupt the Sunday set up. The Sundays will now replace our Third team as the place where our juniors can gain experience prior to moving into the League Squad. Sorry, this sounds a bit too politically correct, but we’ve decided to call the players who are good enough to play on a Saturday, the League Squad. From this group two teams will be picked to play in either of the two Saturday teams. Let’s be honest, the name suggest that the leagues are for first and second teams, but they are not really that far apart, and the reality is that the cricket can be both challenging and enjoyable in either league. So whichever team your picked your effectively in the first team. Which team you play for on the Saturday will be decided by the selection committee and will be based upon a grading system that will be introduced this year, nothing fancy or anything to worry about, really just a guide to ensure the right people are being selected for the right positions on a Saturday, and to allow those of us who don’t get to see the other teams perform, have an understanding of who’s doing well. Finally we have been able to secure some sponsorship for the upcoming season with Sound N Secure (Nick Hitchell) and Electroimpact (An Airbus supplier) both offering to sponsor items of clothing. The present plan will see new caps and polo shirts be manufactured with the club emblem on and the names of our sponsors. We do not have enough money to fully pay for the goods, so will be looking for anyone wanting one to contribute a figure of around £11 (exact price to be confirmed), this will buy you a shirt and cap, bargain ! This is not limited anyone in particular or any team, but we do need to know in advance who would like one, this will be organized over the coming weeks at nets. If you would like just a cap or shirt then we can let you know what that is likely to cost soon, but we would like as many players as possible to buy them so we can at least look the part on a Saturday and Sunday. If you’re a junior or of limited income then we’ll come up with an arrangement were by you can pay in installments rather than the whole hit in one go, but please be aware if you have not fully paid when we place the order then you will not receive your goods. The club will not be financing this, it’ being done by the players. Sorry for the War and Peace, hopefully I will see you at nets in the coming weeks, and I know it’s a little early but I would like to wish everyone the best for the coming season. Hmmm... maybe. Anyway nets start next Monday 1st February between 8pm and 9pm. 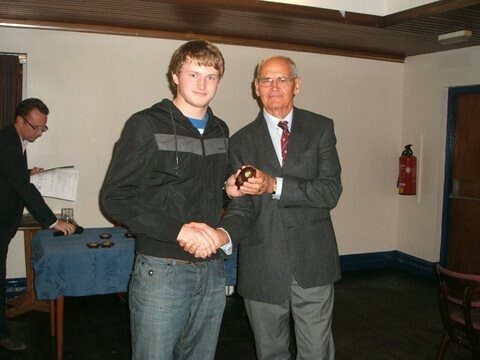 Dave Colebourn is 1st team captain and Andrew Moxley is 2nd team captain - so impress your captains early!!! These nets are open to seniors and u15 players but not other juniors (u13, u11 and u9 nets will start March 1st - more on that later). Let's make season 2010 - our 60th - one to remember!